Pre-purchase Chope Vouchers for Mitzo Restaurant & Bar and get 10% off. This offer is not valid with 'Chope Exclusives', other discounts and promotions. Racked up enough Chope-Dollars? Redeem them for vouchers at Mitzo Restaurant & Bar worth $10, $20 and $30 here. Chope-Dollars are rewards earned by diners when they successfully book and dine at restaurants through Chope. Click here to find out more. Mitzo breaks the mould of Chinese dining by combining a contemporary take on Cantonese cuisine with an artisanal cocktail programme. Set in the heart of Orchard Road, Mitzo offers diners a host of exciting Cantonese cuisines with customised cocktail pairings. Whether it's a lunch venue that you are looking for or a dinner get-together with friends and family, Mitzo has just the right offerings for you. A sense of wonderment greets any diner who steps into Mitzo. The mesmerizing colours of dusk blue, lemon yellow, mint green, hint at the unique culinary journey diners will experience and remember with every single visit. Mitzo's attention to your dining experience begins with an attentive host of associates who will walk you through your dining selections, take you through the list of exquisite a la carte signatures - Black Truffle Crispy Roast Duck, Venison with Asparagus in Black Pepper Mint Sauce and the restaurant's fine selections of specialties such as piquant White Pepper Lobster, Prawn with Caviar Sesame Mayo, Crispy Roasted Pork Belly, which can be found on its set menus. Mitzo's Dim-Sum Set Lunch comes highly recommended. 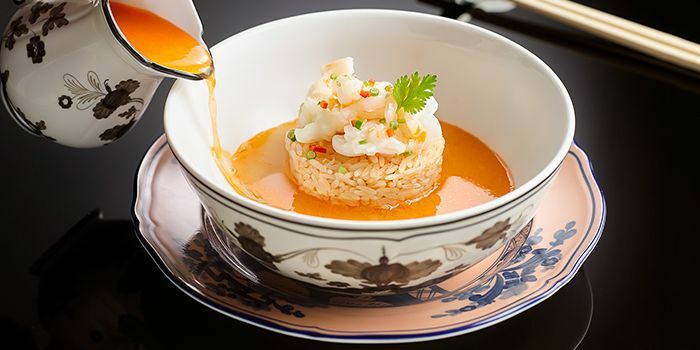 Its 3-course set features over 10 delectable handcrafted dim sums, a double-boiled soup of the day and a dessert that is almost theatrical in its presentation. With an option for a 4-course set, diners will be spoilt for choice. 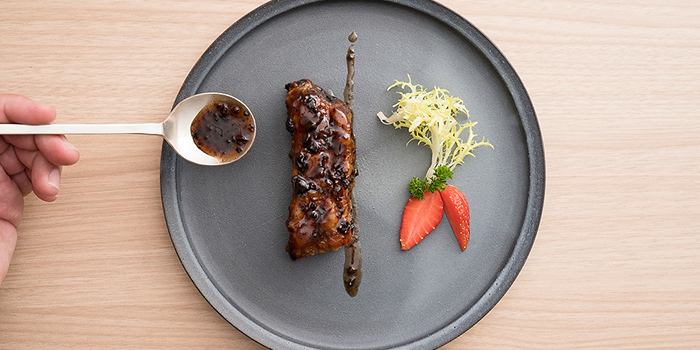 The mouth-watering 4-course set allows diners a choice of dry-styled thin Noodles with Prawn Dumplings & Signature Mitzo Barbeque Pork or Porridge with Lobster Claw, Fish & Pork. Mitzo stops at nothing to ensure an experience that surpasses any diner's expectations. Mitzo has a cocktail bar that is truly a sight to behold - a spellbinding aqua tank that is home to some beautiful bell-shaped jellyfish. What makes the bar even more special is the artisanal cocktails that are curated in-house by a team of mixologists who are also your perfect bartenders, affable and knowledgeable in their field. From Asian Inspirations - Empress Sour (a classic for all Whisky Sour fans) to Mitzo's creations - Total Recall (an aromatic cocktail set to awaken your senses), Mitzo Bar is a must-visit. The cocktails can be paired with your selections of the cuisines when dining. A superb Supper Menu is also available for those with a penchant for deep-fried snacks after midnight. 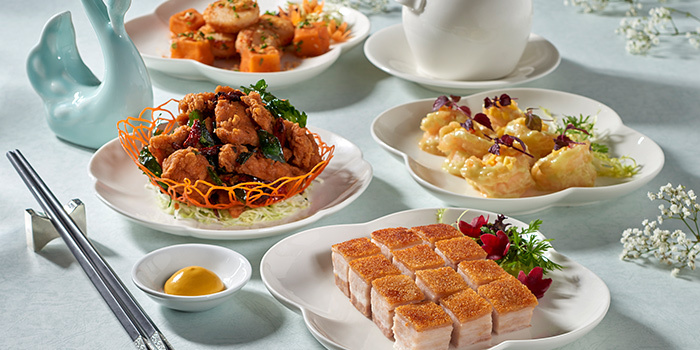 Evergreens like Deep-fried Prawn Coated with Wasabi Mayonnaise and the decadent Fried Rice with Live Lobster Meat, Vegetables and Mushrooms in XO sauce, are available at Mitzo. Ladies! 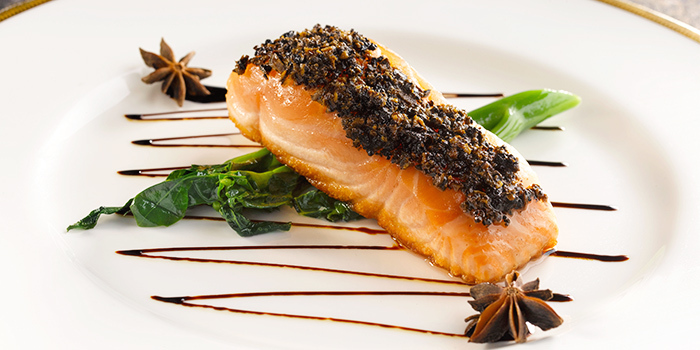 Enjoy an exclusive gourmet evening curated specially for you. 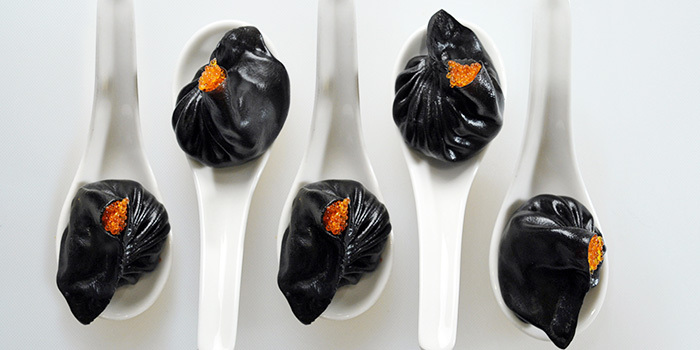 Delicately crafted dim sums made with the finest ingredients. Steamed. Poached. Fried. The choices are aplenty. What we love best about Mitzo’s Ladies’ Gourmet Night is the pairing of drinks – of your choice! From artisanal cocktails, champagnes to wines, Mitzo’s team of fantastic associates are on hand to serve up some fabulous concoctions. And the icing on the cake – everything’s free flow! Yes! Dim sums included! When it comes to fabulous wining and dining in a glamorous setting, exclusively for ladies, Mitzo’s the place to be! With drinks from SGD10++, what’s not to love about Mitzo’s Tipple Hour. Get your tipple fix at Mitzo Bar. Enjoy over 20 offerings from a selection of beer, wines, cocktails and spirits between 12pm and 9pm daily! - Valid from 21 Feb to 31 Dec 2019, daily for lunch and dinner. - No splitting of table/bill is allowed. - Offer is not valid in conjunction with other offers, discounts, privileges, promotions, sets or vouchers. - Offer is valid for dine-in only and is not applicable for takeaways. - Offer is not valid on eve of and on Public Holidays and special occasions . - Advanced reservation is required and subject to availability. Diners to quote “” during reservations. - All prices quoted are subject to service charge and prevailing government taxes, unless otherwise stated. - Offer is limited to one redemption per card, per table, per bill. No splitting of table/bill is allowed.